Have you ever come across a product on Amazon, by a manufacturer you’ve never heard of, with amazing 5 star reviews and been a little suspicious? Fortunately there’s now a website to help you assess the authenticity of those reviews. 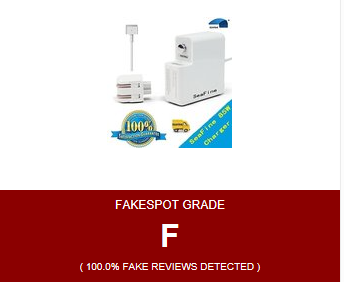 Go to http://fakespot.com, paste in the Amazon product link and it will analyse the reviews left for signs of deception. You wont always get a straight answer but it should give you an indication as to whether to proceed with caution when getting those unbelievably cheap Ray-Bans or not!